The forecast was once again for strong wind so we opted for some of the lower fells and headed out to tackle the Lord's Seat group of fells. 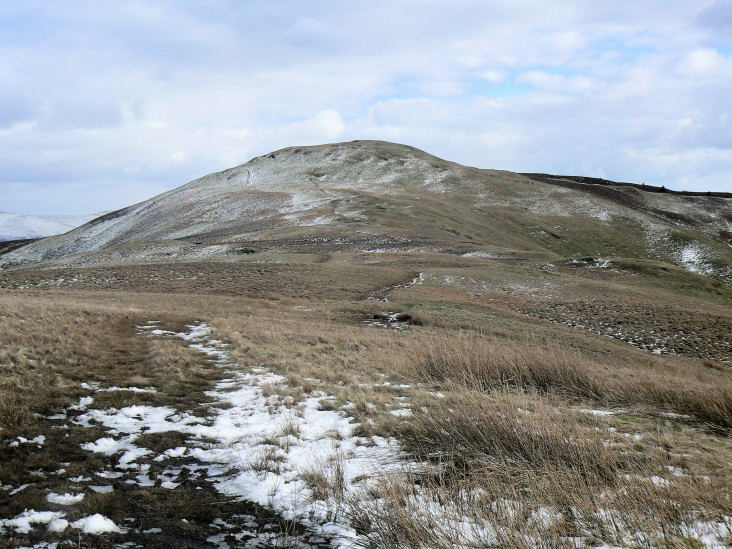 Birkett has split these into three walks but we opted to join two of the walks together to make it a record breaking, summit bagging day, with ten summits to be bagged in one day. Weather: Cold with strong winds. 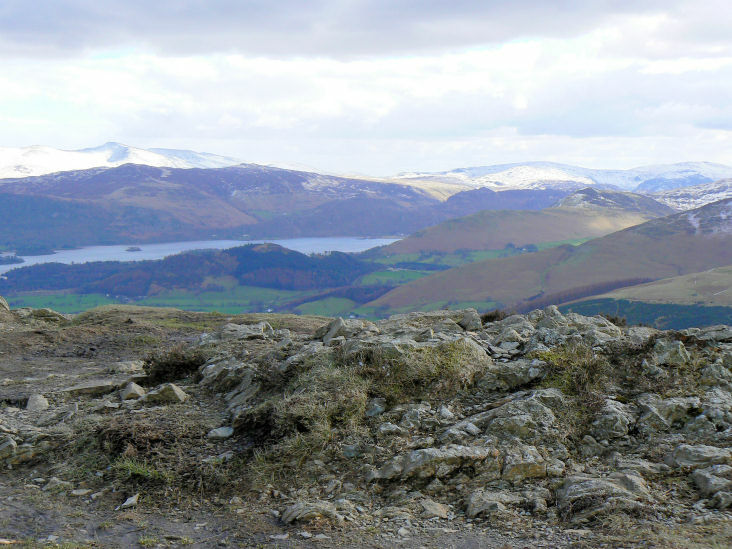 The first of many great views today at the summit of Brown How on Whinlatter Top. 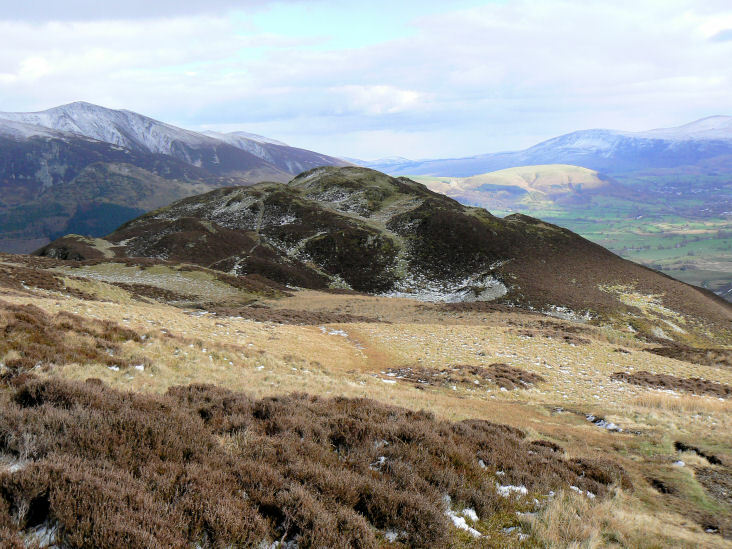 Grisedale Pike (L) and Hopegill Head (R). The next top can just be made out at the end of the path on the first 'ridge'. We covered a lot of miles today and there is no doubt the frozen ground made the going much easier than it might have been on any other day. 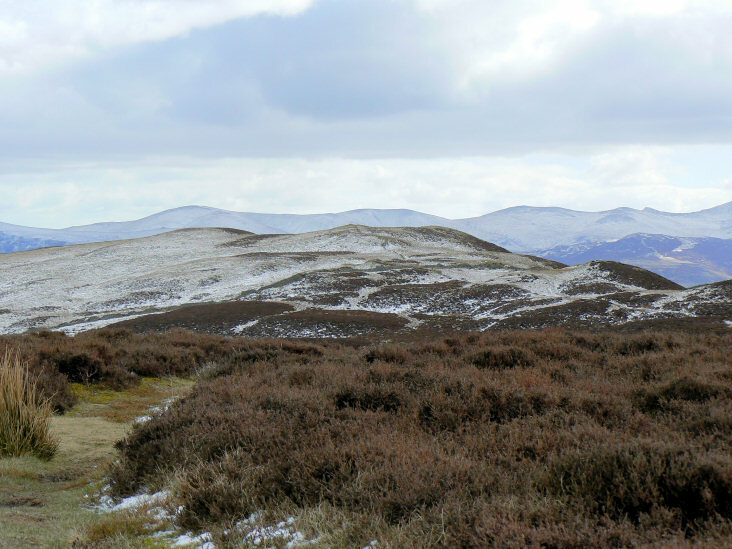 Looking across to two of the tops we would visit later in the day, Broom Fell (L) and Lord's Seat (R). Seat How's summit gave us some great views, here looking across Derwent Water with Catbells, Bleaberry Fell and Helvellyn in view. Latrigg has lost all of the yesterdays light snow covering. 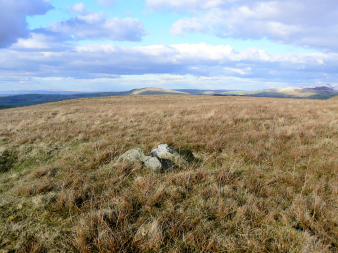 Bleaberry Fell with the Dodds behind catching the sun. 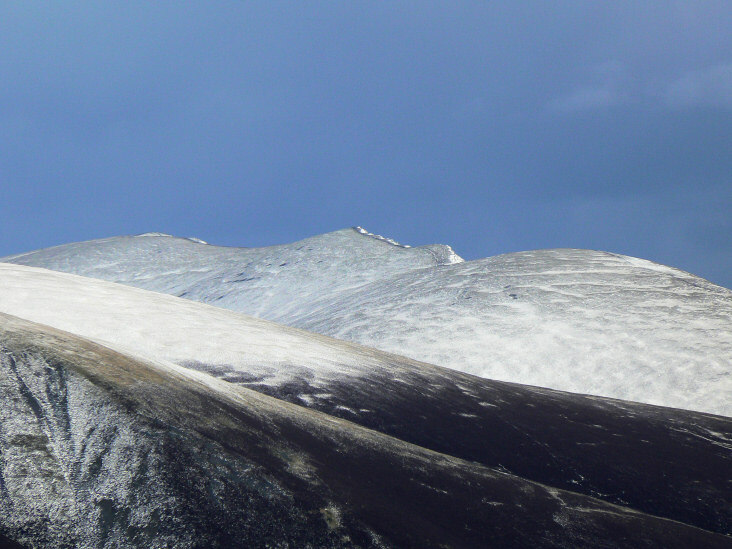 Zooming in on the Blencathra ridge. 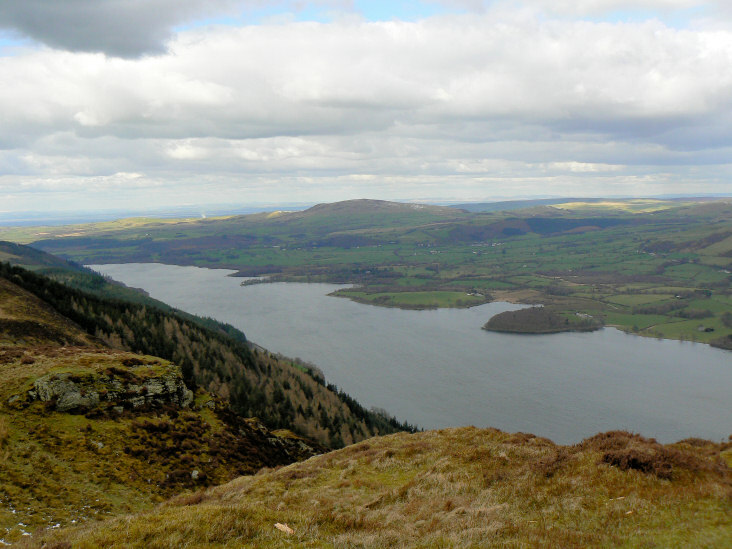 Binsey and Bassenthwaite Lake from Barf's summit. 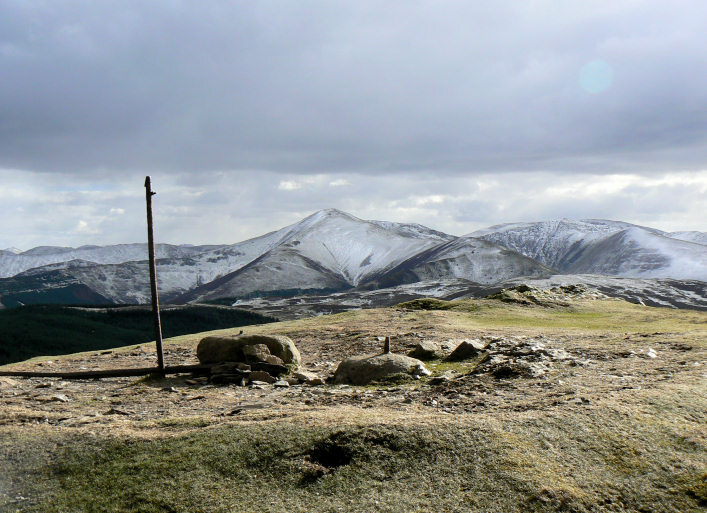 Looking across to Lord's Seat from Barf, its summit had the only snow of any depth that we would walk in all day. 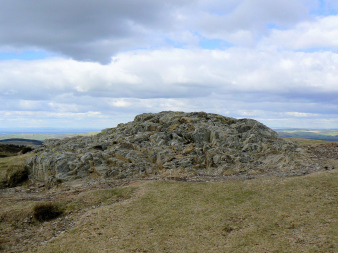 A close-up of Bow Fell and Esk Pike, seen from the path to Lord's Seat. Looking back to Barf, this was the only place where we had to do any bog-hopping. From Lord's Seat it was a long walk to Broom Fell where we were exposed to the very cold and strong wind. 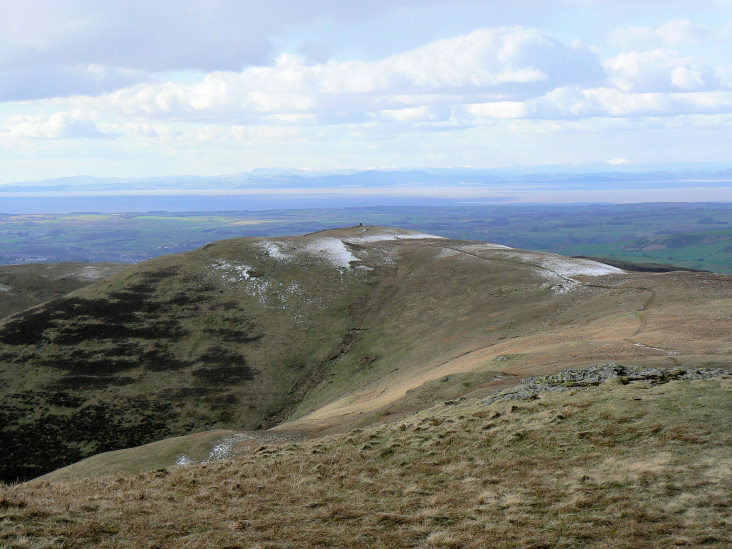 The views across the Solway Firth into Scotland made up for it. 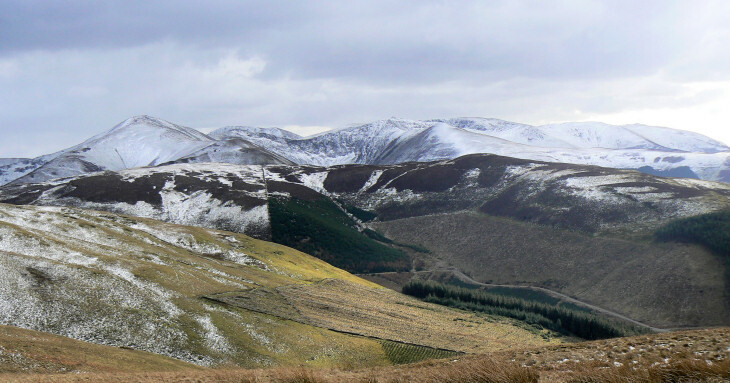 Looking back to Lord's Seat. Whinlatter Top and the first two summits of the day. 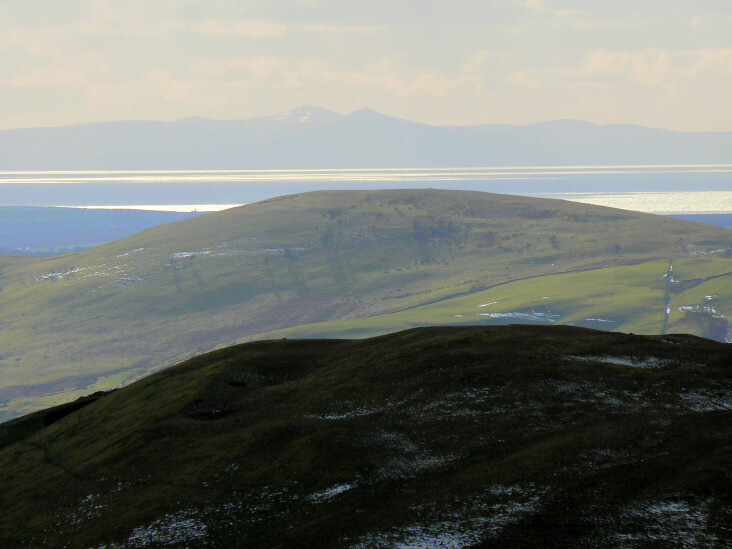 From Broom Fell the Isle of Man was clearly visible. 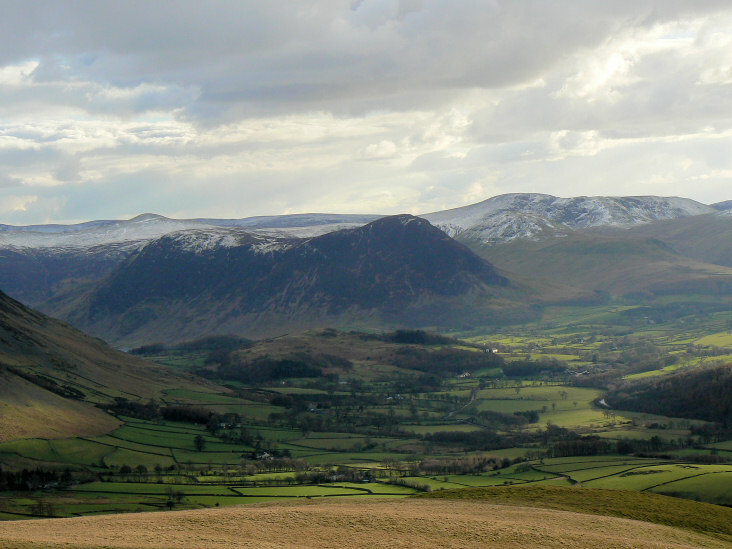 Looking across Lorton Vale from Kirk Fell to Mellbreak.